I was just reading the results of a survey where buyers were asked to list their top ten wish-list for their dream house if they could have any property they wanted. This was a bit tongue in cheek with the assumption that many of these dreams are just that, not achievable in reality but it struck me while going through the list that, in this part of France, many, if not all, of these ‘dreams’ are in fact perfectly possible and for all buyers not just those with the largest budgets. Well this one is certainly immensely achievable in this part of France; from mountain barns in the Ariège to L-shaped barns attached to village houses or farms with numerous outbuildings. 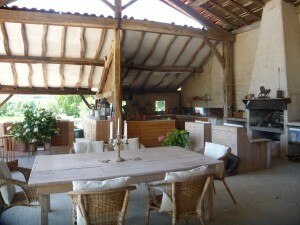 It is also much easier to get planning permission to convert a barn here than it is in many parts of the world. Again, eminently achievable because houses here are much larger with generally many more rooms, some of which can easily be converted from single bedroom and knocked through to create a walk-in wardrobe. 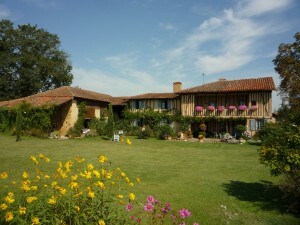 While this is more the norm in UK and American houses, it is still a fairly new concept here in France but it is a trend which is fast catching on and I am now seeing many old properties which have been renovated and had two rooms knocked into one to create this much in demand kitchen/dining/living space. What’s more, because the houses tend to be larger and windows bigger, the space created can really add that wow factor. I am not surprised to find this in the top ten dream wish-list but certainly for many people in the UK, this will always remain just that, a dream. 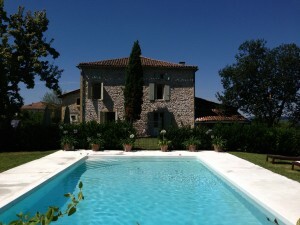 However, here in South West France a pool is not seen as a luxury nor just the preserve of the wealthy and often even the most modest village house has a pool. Land is more plentiful here, hence gardens tend to be bigger so space is not an issue and there is a great deal of competition from pool companies which has driven prices right down to affordable levels. Plus of course, thanks to the plentiful sunshine and cheaper alternative heat sources, a pool can now easily be useable from May to the end of October providing a great way to keep the family fit on top of being the ideal way to cool down in the hotter months. This one made me laugh – my grandmother had a pantry and it seems a quaintly old-fashioned and wonderfully modest dream requirement but I am in total agreement. 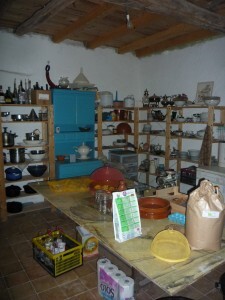 A pantry is a wonderful addition to any house and the majority of old houses here in the foothills still have the original back kitchen and pantry usually full of heaps of fresh produce freshly picked from the potager waiting to me made into chutneys, jams or tonight’s supper. 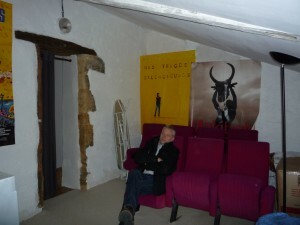 I must admit I have only viewed a couple of properties with a cinema room but again, with the numerous rooms in most old French houses, this is eminently achievable and broadband connection is so good in most parts of France that film streaming is also perfectly possible. 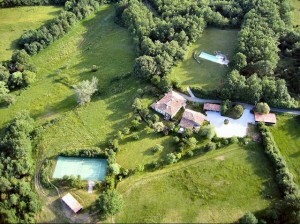 If anything most foreign buyers in France tend to buy houses with too much land because they can. 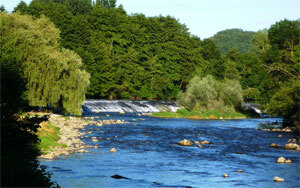 In many parts of the world, land is for wealthy landowners but here anyone can be a landowner. What’s more, if you don’t want to manage the land yourself, it is very easy here to find a local farmer who will happily cut the hay or graze animals in return for the crop or use of the land. Gardeners are also easy to find. While we don’t have coastline in this part of France, we do have plenty of beach side locations with river frontage and also many lakes where you can swim or sail your boat in sight of your house. We also have the choice of equidistant Mediterranean or Atlantic beaches for a day trip. 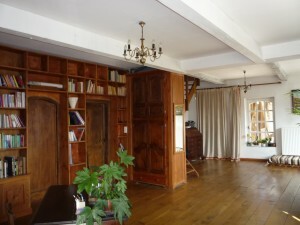 There are a surprising number of properties here with libraries or small rooms converted to libraries, many complete with open fireplaces and mountain views. Most I would be happy to live in! Well this almost goes without saying; it is rare that I see a house (unless it’s a mountain barn) that doesn’t have some kind of wine cellar. 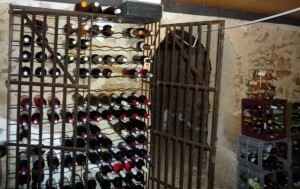 They range from vaulted caves to converted piggeries to under-stairs cupboards but, for most of my clients, a wine cellar is a must-have not a dreamed of but unfeasible luxury! So I guess, if nothing else, the 2014 Dream Home requirements list proves that you really can find your Dream Home here in the beautiful foothills of the Pyrénées.